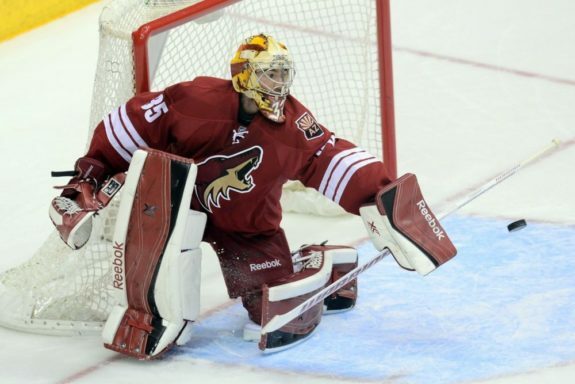 In many ways, the hardest position to properly fill in hockey is the role of the backup goaltender. Not only do you need to find an NHL-caliber goalie who is able to perform without having a consistent playing schedule, but he also needs to be a good enough player to step in should the starter suffer an injury. Also, when a team lacks confidence in its backup, it can create a situation where the starter is overworked, often causing play to slip by the end of the season. Nowhere has the struggle to find a perfect backup been more prevalent than it’s been for the Tampa Bay Lightning. 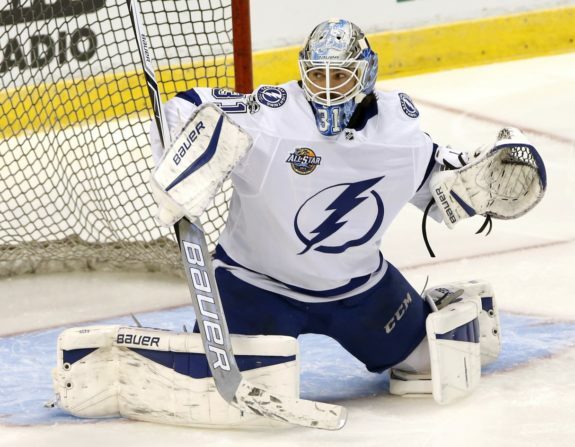 Since the 2012-13 season, when Lightning general manager Steve Yzerman started reshaping the goaltending future of the franchise, the team has been unable to find consistent backup options options to aid its overworked starters. To start the 2018-19 season, though, the Yzerman may have finally solved this pressing issue with Louis Domingue. For a variety of reasons, Domingue could be the perfect backup goaltender for the Lightning this season. First and foremost, he was nothing worse than a good goalie while backing up Andrei Vasilevskiy during the second half of the 2017-18 season. This may sound like an underwhelming praise, but Domingue’s seven wins and .917 save percentage in 11 games are some of the best numbers posted by a backup since Vasilevskiy was replacing Ben Bishop in the 2013-14 season. While 11 games is a limited sample size, it still is enough for Lightning head coach Jon Cooper to start off the season having confidence in Domingue’s abilities. If he can continue playing well to start off the season, there will be little hesitation to give him more opportunities to start instead of overworking Vasilevskiy again. Even if he is only able to win 50 percent of his starts, he will be more than earning his role with the franchise. Secondly, Domingue is a relatively young goaltender who will be fighting for his career while backing up Vasilevskiy. Assuming that he is able to complete the two-year contract he signed this offseason, he will be a 28-year-old goaltender hitting unrestricted free agency in the summer of 2020. If you look at recent history, this is around the age when career backup goalies like Cam Talbot and Antti Raanta were given a chance to take over the starting role with a new team. So, if Domingue is able to post strong numbers in Tampa Bay, he could potentially parlay that into a big free-agent contract with a team in desperate need of goaltending. In theory, this should bring out his best play at each start, since he will have a limited window to showcase his skills to a future employer. This scenario is a bit of a departure for the Lightning. When Yzerman signed goaltenders in the past, he brought in experienced players like Evgeni Nabokov and Peter Budaj, who were meant to not only start games but act as mentors as well. This made sense at the time of the signings; since both Bishop and Vasilevskiy were both unproven starters, these players struggled to find a place with the team, leading to their eventual replacement. While one will never doubt the fight in a veteran player like Budaj or Nabokov, they were in the twilight of their careers. Domingue, on the other hand, could just be at the start of his if he finds success. This has to create a different level of desperation and drive in a player, which could be exactly what the Lightning need out of their backup. It may be a bit of an overstatement, but if the Lightning want to finally get over the hump this year, they need Domingue to be successful. Yes, they could still be one of the dominant teams in the NHL by only relying on Vasilevskiy to carry them again, but that isn’t a recipe for long-term success. As we saw in 2017-18, the NHL season is long and grueling, and even the best starter can wear down by the second half of the season. This means that the situation is pretty straightforward for Domingue and the Lightning. 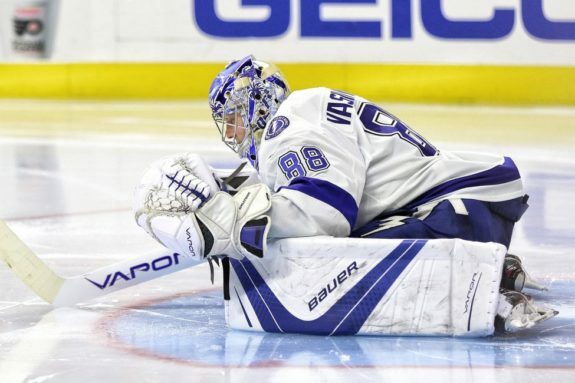 If he can reduce Vasilevskiy’s overall playtime to 58 to 60 games a year, while winning at least 12 to 14 of his starts, it could pay dividends for his future while also increasing the Lightning’s chances to win a Stanley Cup. 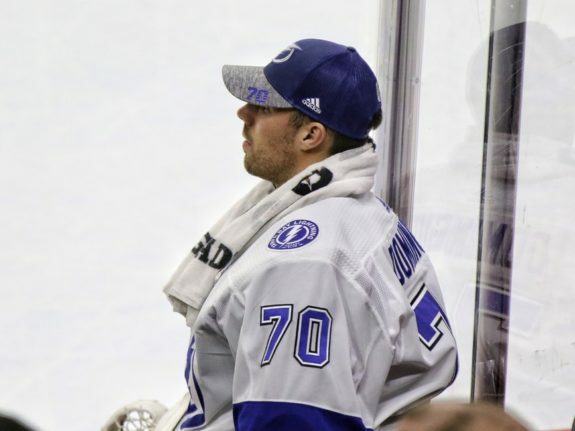 This may be a tall task given the franchise’s recent struggles with backup goaltending, but it appears the Yzerman may have finally found the right man for the job.